Wednesday also brought the Think Tank presentation “Digital Transformation from the Meeting Space to the White Space” from Yann Morvan, Legrand’s Director of Product Management and our partner. Yann presented how Legrand and Fiber Mountain have jointly positioned the Glass Core in the data center marketplace, delivering the managed and dynamic physical layer. This session was well attended and touched on some very strong points about the Glass Core being the key to Digital Transformation. For those interested in learning more, there will be a joint webinar presented by Fiber Mountain and Legrand on July 20, 2017. 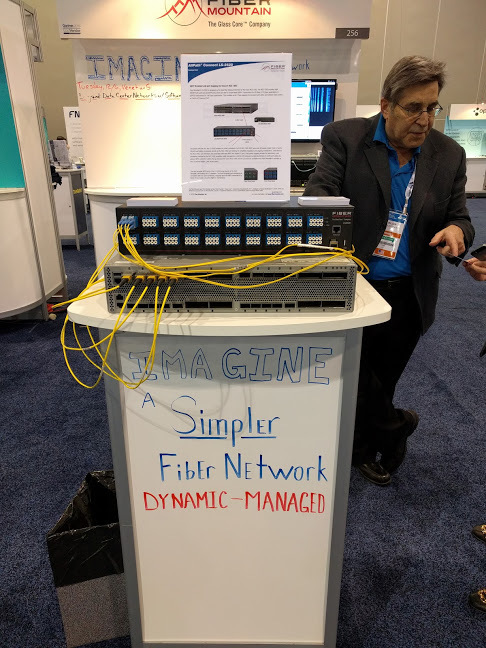 Tuesday was Day 2 of Cisco Live for Fiber Mountain and we continued to experience high levels of traffic, with many high value decision makers and influencers visiting our booth. One very interesting difference from most conferences I attend is that there are no titles on anyone’s show badges. 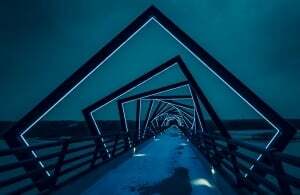 This allows open conversations without people being pretentious. I think this is a very good idea. It’s always interesting to watch the various lead generation tactics other companies are using. For example, across from us one company uses a magician to attract passing attendees and scan their badges. 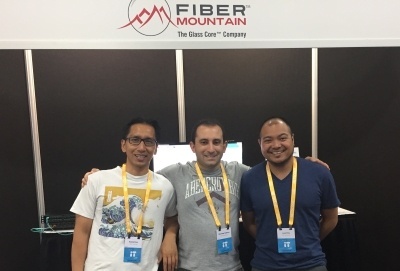 Fiber Mountain is exhibiting at Cisco Live! In Las Vegas for the first time ever! Our first day was hugely successful from just about any perspective – from quantity and quality of booth visitors to successful meetings with customers. 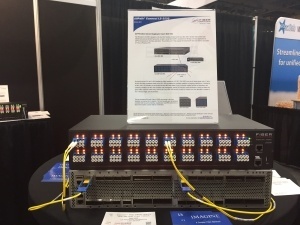 In 2016, we introduced to market the LS-2520 QSFP Breakout for the Cisco NCS 1002. This product was the lynchpin of a whole new product family for Fiber Mountain, the LS-Series of breakout boxes for single mode and multimode fiber networks. 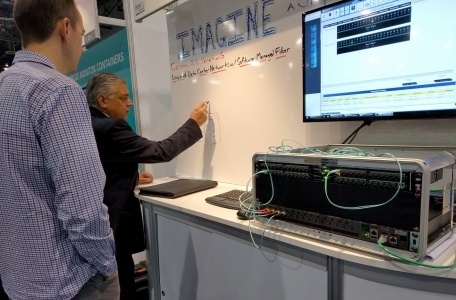 This product combination was front and center in our booth today generating interest from end users, resellers, and Cisco itself. We have several follow-up meetings scheduled, which delighted our team. 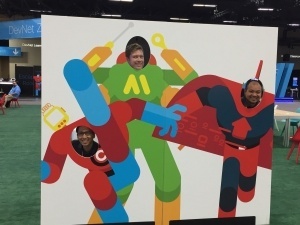 Next week, we’re off to Cisco Live! in Las Vegas, so it seems like a good time to highlight some of the fun news from the past week - from toymakers and bots, to science fact that reads like science fiction. If you’re going to be attending Cisco Live, be sure to visit us in Booth #423. If not, check back in here or sign up for the Updates list to read Bill’s daily event reports!